The project director of the new National Children's Hospital, who oversaw its controversial escalation in construction costs to €1.4bn, is to resign. John Pollock is believed to have told staff yesterday of his intention to step down after five years. He will remain until June to allow for a smooth handover of his role, the Irish Independent understands. 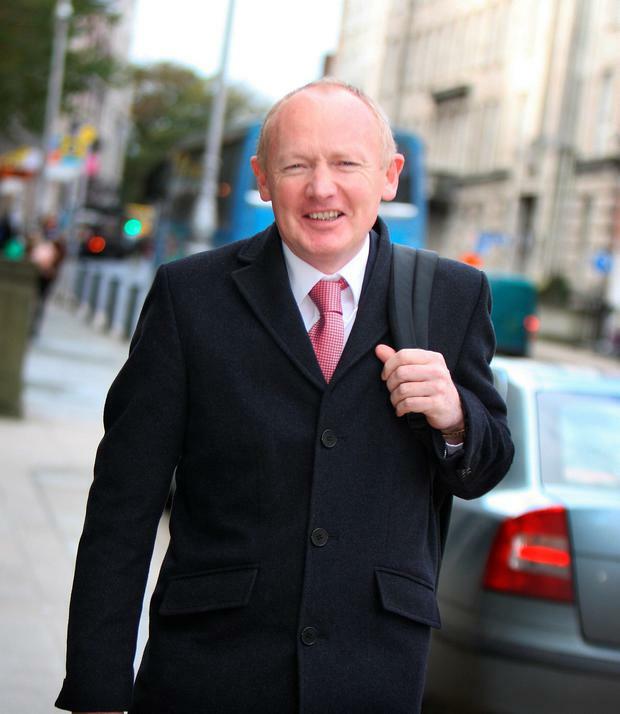 His decision follows last month's resignation of Tom Costello, chair of the National Paediatric Hospital Development Board, after a public furore about the soaring construction costs of the hospital, which have gone up by €450m since April 2017. The newly installed chairman, Fred Barry, the former National Roads Authority chief, recently said the jump in price may have been due to an early underestimation of cost rather than an overrun. He warned that the ultimate construction price may end up higher due to inflation and design pressures. An external review of the costs and background to the management of the tendering and other processes is due early next month by PricewaterhouseCoopers. In a resignation statement, Mr Pollock enumerated the “many successful milestones” achieved by his team over the past five years. “All these milestones achieved over the last five years have been hugely satisfying and I am very proud of what has been achieved. The project has now moved into the final phase of construction, and with this under way, I believe it is an opportune point for me to move from the project. I plan to do so later this summer," Mr Pollock said. Chairman Fred Barry confirmed he had "reluctantly accepted" Mr Pollock's resignation. "John has led this project over the past five years, bringing the new children's hospital from a vision to one that is now much closer to becoming a reality," he said. "With planning permission secured, the Phase A works complete and an investment decision approved by government for Phase B, he leaves the project with the certainty it is on track to be completed by 2022 and will open for the benefit of children, families, young people and staff by 2023. "John has played a key role in ensuring the project reached this point in its lifespan. "His style of leadership has kept the team inspired and motivated at all times and his thoughtful approach and considered decision-making has helped to steer the project through what has been a demanding and challenging time since he took on the role." He added the board and team, families and children in Ireland "owe John a significant debt of gratitude for the personal commitment he has shown as well as the huge skill and expertise he has brought through the design and planning phase and the commencement of build." Mr Pollock was previously chief of Punch Consulting Engineers.